Katie Boswell is the International Program Manager at One World Children’s Fund. 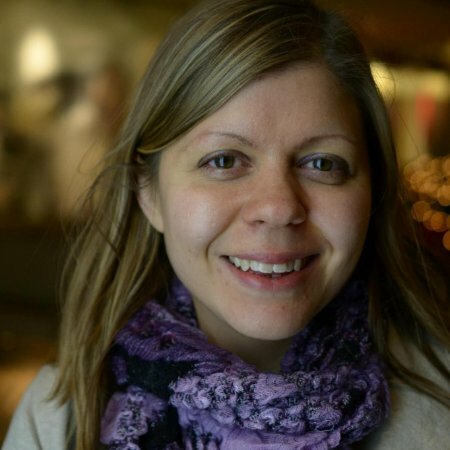 She is primarily responsible for managing and growing both the international program of grassroots partners and the Champion program of US-based fundraisers. One such grassroots partner organization is CAMME and an interview was featured on this site with Pascal Bashombana in The Brick Project Conversations, Part Eight: Chloé and Pascal. Katie also works alongside One World Executive Director, Stephanie “Allie” Heckman and Board Chairman, Anand Chandrasekaran, both of whom were featured in The Brick Project Conversations, Part Four: Allie and Anand. Yet another of One World Children’s Fund’s 35 grassroots partners around the world, El Shadai, founded by Stephen Wante in Uganda, is featured in the previous interview: The Brick Project Conversations, Part Twelve, Linda and Stephen. These “hubs” are geographically-based networking communities around the world. 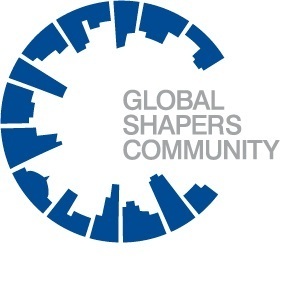 What moved you to apply to join the Global Shapers Community? I was nominated by an existing Global Shaper and invited to attend an interview. It came out of the blue and I was delighted to be invited to apply to the group, as I’d heard great things about them and knew that a number of people in the One World community were already involved with World Economic Forum Global Shaper or Young Global Leader activities. Apart from your position as International Program Manager at One World, what other achievements do you believe qualified you to be recognized as a Global Shaper? I’m fortunate to have had opportunities to work globally, from improving education provision for child laborers and slumdwellers in India to running a camp for Saharawi children visiting Europe. This has hugely shaped my outlook on life as well as my achievements. However, I believe that local community-based action is vital and some of my proudest achievements have been locally-focused. 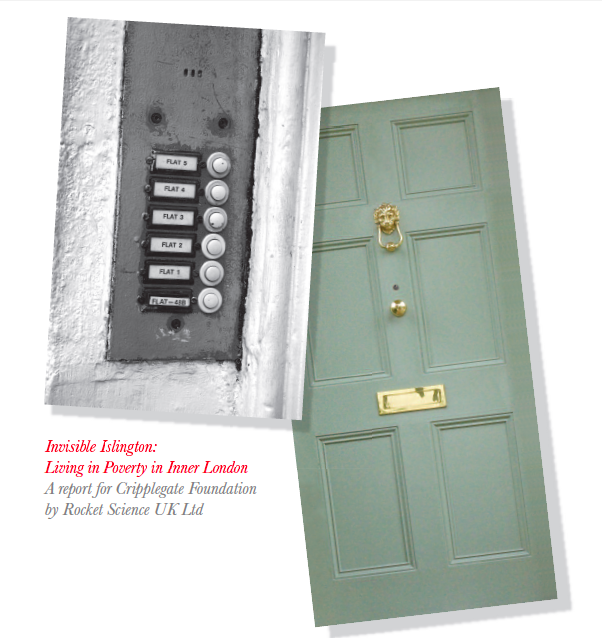 In 2008, while living in North London, I co-authored a report called Invisible Islington, which drew attention to the hidden poverty and social problems in one of London’s wealthiest areas. The report was really powerful because it highlighted the voices of those who aren’t usually listened to in policy discourses. Since the publication of the report, an additional £1.8 million in cash has been raised to support over 30 local organizations which were previously underfunded. That’s something that I’m really proud to have been a part of. When in London, I also volunteered as a Saturday teacher at The Baytree Centre, teaching English and ICT classes to women and girls who were living in poverty and/or newly arrived in the UK. In 2009, I was elected as an Executive Board member of the London Civic Forum, representing London’s diverse communities to policymakers, and I learned a lot from that experience about how local action happens. Most importantly, I learned to have patience as the most effective and sustainable projects can take time to show results! Are you currently working on any local projects in the community of your current home, San Francisco? Since coming to the Bay Area in 2010, I’ve done some voluntary projects as a pro-bono consultant. In 2011, I wrote a research brief for the Lucille Packard Foundation for Children’s Health on the connections between child poverty and poor adult health and made the case for early intervention in California, the Foundation’s area of focus. I also worked on research briefs and proposals for Sociometrics in the areas of HIV/AIDS, family planning, child development, teen pregnancy prevention, domestic violence, substance abuse, mental health, bullying, technology acceptance, microfinance, and cultural competency. In what way do you see your leadership potential expressing itself in the future? I’ve always had a collaborative leadership style – I work best when I’m working ‘with’ people, not ‘for’ them. In 2008, I was recognized with an RSA Fellowship for my “work in the field of research into disadvantaged individuals, groups and communities” and these issues still drive me. I’m passionate about getting people’s voices heard by policymakers, funders, and decision-makers so I could see myself working in research, policy or program management. Wherever I am in the future, I see myself working in solidarity with people to improve their lives. I’m motivated by a desire for social justice, which is an issue with local and global dimensions. All around the world, people suffer because they are born into unequal societies and never given a chance to fulfill their true potential. This applies just as much in the so-called ‘developed’ world as it does in the ‘developing’ world. I was reading just yesterday about how some counties in the US have maternal mortality rates that rival Sierra Leone – this would shock most Americans as a lot of people don’t realize just how unfairly resources are spread across our society. Personally, I’m motivated by my own family story and my belief that a better world is possible. My grandparents lived in a very different world and both my mother’s parents had to leave school when they were 14 to work. They were passionate about getting their daughters the education that they had been denied and my mother graduated high school aged 18. I was the first one in the family to go to university and it was amazing to see that progress across generations. When I worked in India and I spoke with parents who were making great sacrifices to send their kids to school, I heard that same determination in their voices as I know my grandparents and parents had. I hope that their families and communities will be able to see the same progress as education is opened up to more people. How do you plan to leverage the San Francisco and worldwide networks of Global Shapers to your advantage? The San Francisco Bay Area is home to great wealth as well as great poverty. Earlier this year, the Stanford Social Innovation Review highlighted the mismatch between significant local philanthropic resources and the drop in income experienced by many of our local nonprofits. My pitch to the Global Shapers was to run a project highlighting local issues and nonprofits working on these issues to try to drive more philanthropic wealth to underfunded local causes. I’m confident that lots of people would want to make a difference locally if they knew more about the issues facing their fellow Bay Area residents. Families are struggling to get by in the recession, with growing unemployment and reduced federal food aid. These stories need to be told to a wide audience. Organizations are working tirelessly to get their message out there, but often it’s just not being heard. How do you believe your recognition as a Global Shaper reflects on your work at One World Children’s Fund? My work at One World Children’s Fund is certainly global. We currently partner with 35 organizations in 18 countries – and growing! In my role as International Program Manager, I often bridge the gap between local and global. Our Partner Organizations have strong local leadership and the trust of the community, but our Champion program helps them to reach a global audience. My vision is to use my role to create a new generation of globally aware philanthropists here in the US supporting effective grassroots organizations around the world. I see my work at One World as part of a wider movement that is changing the tone of philanthropy so that it values local knowledge and approaches giving in a respectful, compassionate and culturally competent way. I believe that giving more power and control to local people is the best way to support the changes that I want to see in the world. You attended your first San Francisco Global Shaper meeting on July 24th and met the 32 other young people in your hub who also received the honor this year. Please explain to me what you learned from the meeting and how you feel about being a part of this group. The meeting was a great opportunity to meet fellow San Francisco Global Shapers. It was an informal potluck dinner where we were all introduced and discussed potential community projects that we can work on together, such as my proposition to highlight the stories of local nonprofits that I brought up earlier in the interview. The thing I loved above all was the energy of the group – we’re all from different sectors and backgrounds so we had lots to learn from each other and many different perspectives to offer. I’m now really looking forward to our monthly meetings and I feel optimistic about what we can achieve when we work together!